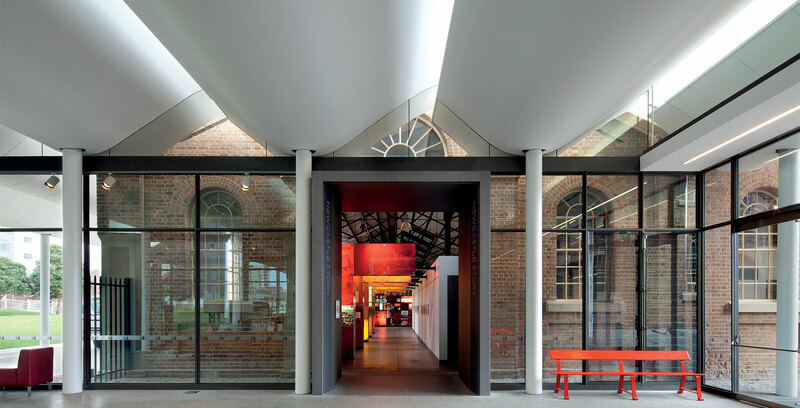 Newcastle Museum is accommodated within a series of reused, late-turn-of-the-century brick railway workshop structures located within the Honeysuckle waterfront urban regeneration precinct. 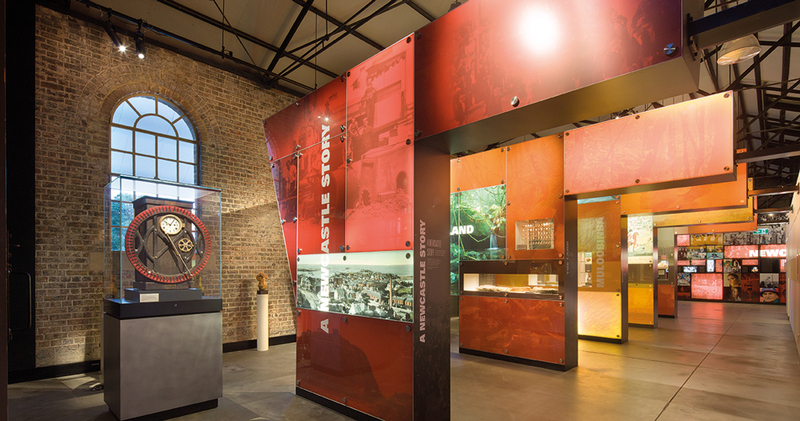 This project involved the complete refit of these important heritage buildings with new facilities and exhibitions as well as the construction of a new welcoming 'link' building that interconnects all the disparate areas of the redesigned museum. The concept for the new museum was to create a cohesive complement to the heavy brick structures through a lightness of form and touch. 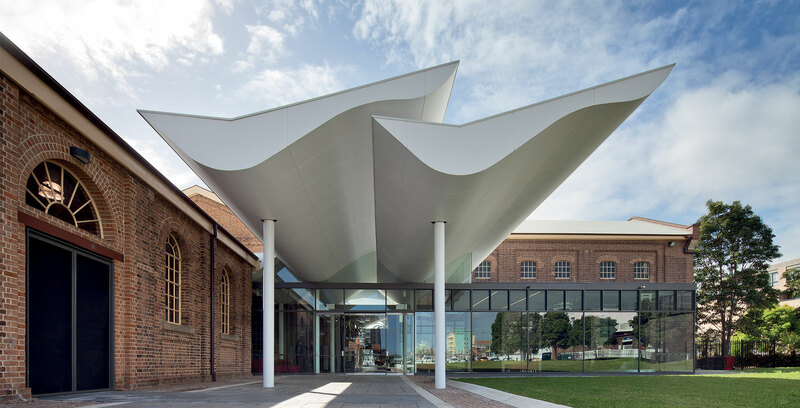 The new building elements were conceived as a series of floating cloud-like roof forms that hover in between the heavy masonry of the existing workshops. These white cloud-like forms draw in natural light, and shade and protect visitors and exhibits, while also creating a new sense of entry and central orientation for the museum circulation. 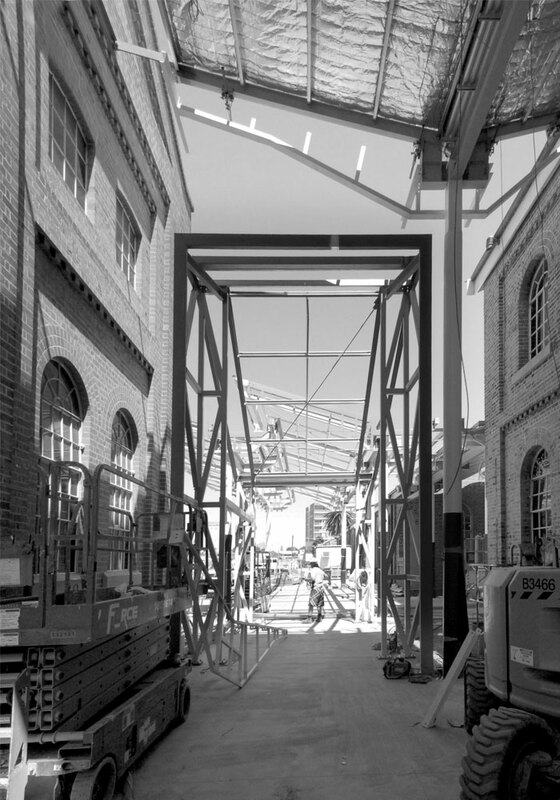 Below the floating roof forms is the Link structure in steel and glass that accommodates the foyer, temporary exhibition and circulation areas. 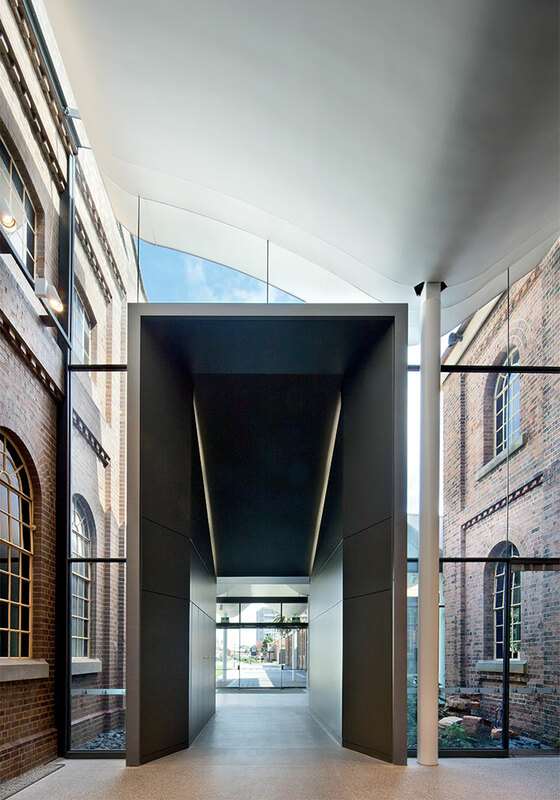 This structure is joined to the adjacent workshop buildings via a series of metal tube-like forms that create extended threshold transition zones into the differing exhibition volumes. Interconnected in this way are the Blacksmith’s and Wheel Shop (1880), the Locomotive Boiler Shop (1887), and the New Erecting Shop (1920). The Link is a fully glazed volume protected by the lightweight cloud-like canopy structure that floats between the existing buildings. 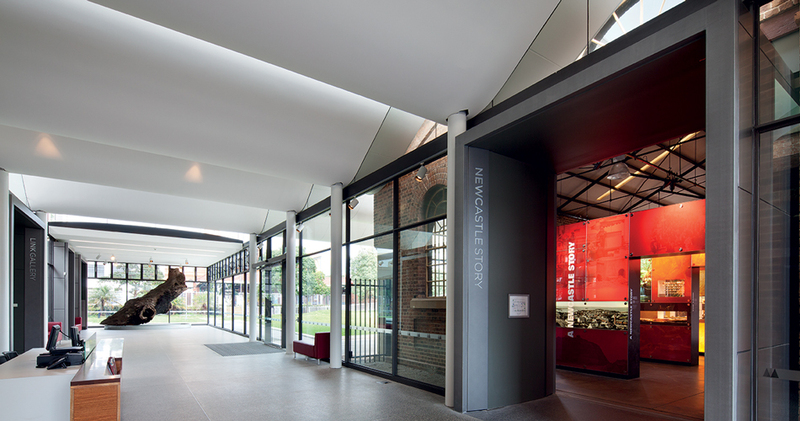 The glazed façades are offset from the existing heritage walls, enabling the walls to be both protected and revealed to view. 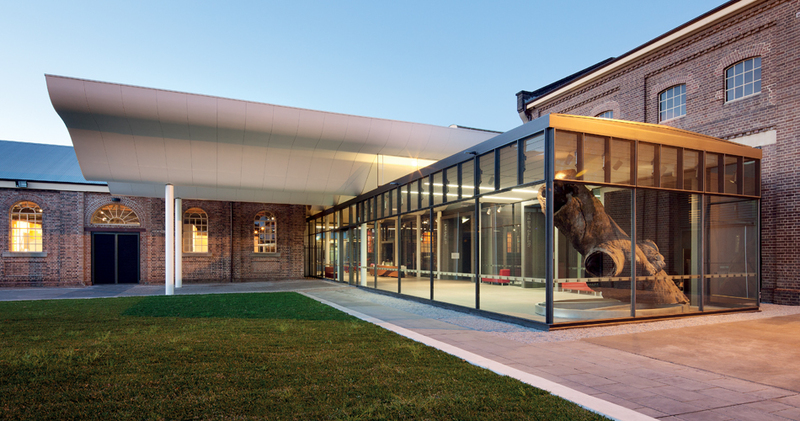 A new entry and courtyard with a gently raised lawn create an ingress from the adjacent station and contribute to the bridging of the railway that has long divided and separated the city from its waterfront.